Two new resources are now available to help with planning care for people with dementia. Palliverse talked to driving force Prof Meera Agar about the ‘whys’, ‘hows’ and ‘whats’. Q: Why develop care planning resources just for dementia? A: People with dementia face unique challenges and decisions related to their care and health care needs as their illness progresses; and supporting their choices is made more complex as they become less able to communicate their needs and articulate decisions about what they want from care. While good intentioned, many health professionals in aged care and other settings may not understand the course of dementia, and there may not always be good communication, involving the person with dementia whenever possible and their families, and also between the different health professional involved in the persons care. Q: So how do the new resources help? The discussions on Insight are usually excellent. I’m hoping for some thoughtful conversation about advance care planning, and hearing from people with life-limiting illnesses and their loved ones. Palliverse will be participating in the Twitter chat surrounding the show (#insightSBS). You can also join the conversation at Insight’s Facebook page. I hope there’s enough time for everyone to recover from last night’s Q&A! Today (in some parts of the world) it’s Halloween or, as Caitlin Doughty (@TheGoodDeath) calls it, “Culturally Sanctioned Morbidity Appreciation Day.” Please enjoy these links, which have nothing to do with Halloween but may have something to do with palliative care. The silver tsunami is actually silver-brown. How does end-of-life care differ for minorities? asks geriatrician and palliative care doctor VJ Periyakoil (@palliator) in the Washington Post. Pulitzer prize-winner Tina Rosenberg visits La Crosse, Wisconsin, home of the Respecting Choices program, where 96% of adults reportedly participate in advance care planning discussions. (Talking Early About How Life Should End, New York Times). And now, a video about advance care planning! This really resonated with me… well worth a read. A young doctor describing her developing perspective on a “good death”; on dying and end of life care in our healthcare system. 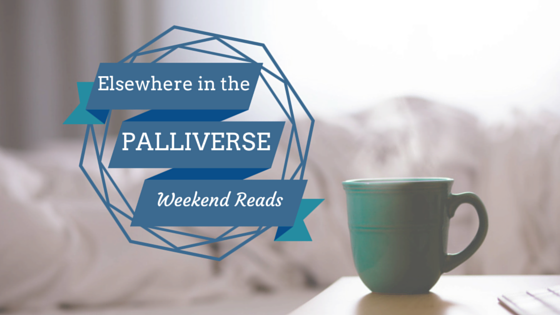 I have a few palliative care links to share this week. If you’re not satisfied, we also share links on our Facebook page and Twitter account (you don’t need your own Twitter account to see what we’re posting), and you can check out our Elsewhere in the Palliverse archives. At the End of Life Studies blog, Dr Naomi Richards examines the question, “Is the voluntary refusal of food and fluid an alternative to assisted dying“?